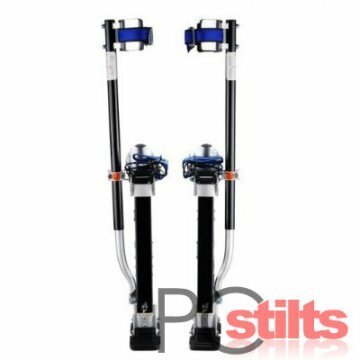 Our medium sized stilts, suitable for some higher & modern ceilings. Adjustable from 18-30” (46-76cm) and various sizes in between. Suitable for plastering, painting & decorating, ceiling installation, tree/hedge trimming, fruit picking or stilt walking! Dual action spring mimicks the lower limbs.